This giveaway has ended, and the winners have been announced here. Thank you all for reading! In case you haven’t heard, my good friend Amy over at Simply Sugar and Gluten-Free has written her first book, Simply Sugar and Gluten-Free: 180 easy and Delicious Recipes You Can Make in 20 Minutes or Less, and it’s just been released! I couldn’t wait until my copy arrived in the mail, and when it did, I plopped myself down on the couch and read the whole thing, cover to cover. I’m so proud of Amy’s accomplishments. This book is gorgeous, with amazing recipes for everything from buckwheat crepes to cauliflower soup to multiple brownie recipes, all free of gluten and refined sugar. As I am trying to cut refined sugar out of my diet, Amy has become a valuable resource. This book couldn’t have arrived at a better time. It was only a matter of deciding which recipes to try first, so I could share with you just how awesome this book is. Of all of the tantalizing recipes, it might seem odd that the first thing I made was her Slow Cooker Ketchup (also available on her blog). I haven’t actually eaten ketchup in a long time. When you don’t eat french fries, burgers, or hot dogs on a regular basis, there’s just not that many ketchup opportunities left. I’ve also found that store-bought ketchup, which typically is full of high-fructose corn syrup or sugar, is intensely sweet – something I’ve lost a taste for. Amy’s ketchup, however, is more than just sweet – there are layers of spices, some tang, and a lovely full flavor. I used some of it later in the week for some chipotle sloppy joes (on a slice of gluten-free bread) and oven fries, and felt like a kid again. It was so, so good. But I wouldn’t do a review of a cookbook purely based on ketchup. That just wouldn’t be right. After all, I’ve sampled Amy’s baking before, and I know what she’s capable of. Her baked goods are phenomenal. 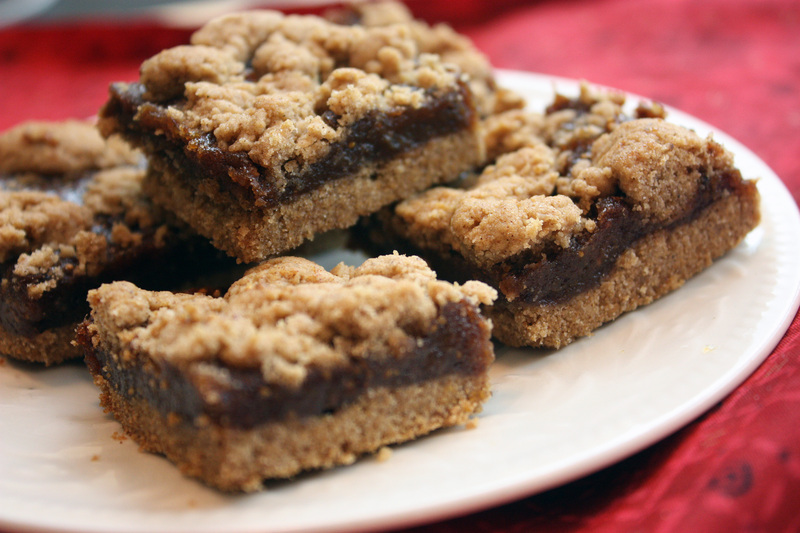 When I came across her Fig and Date Bars, I paused. She said they tasted like fig newtons. Fig Newtons? Oh yes, these were so about to happen in my kitchen. I couldn’t wait. Did they deliver? I would definitely say so. 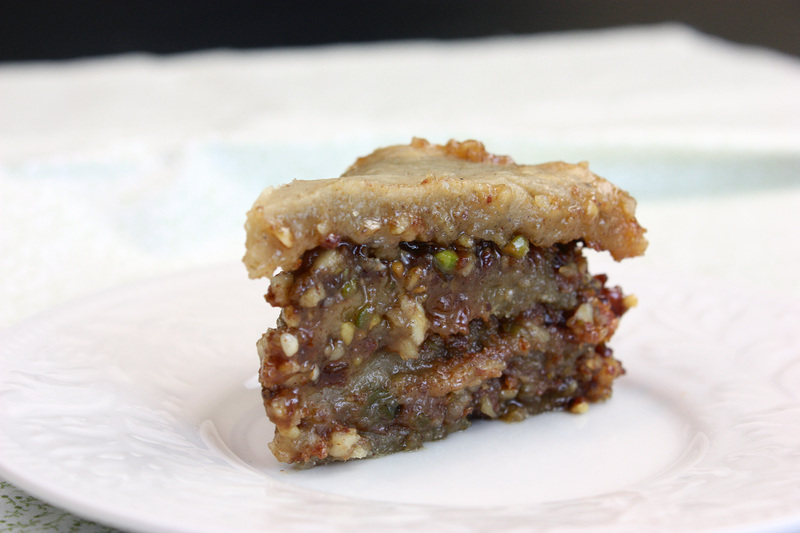 I loved the sticky, sweet but not-too-sweet fig and date filling, and the crumbly topping was just perfect. I brought them to the office, and all day, people would venture back into the kitchen to sneak another one. Our company President even enjoyed some and shared them with his granddaughters (who were visiting that day), and remarked how good they were. (He didn’t know they were gluten and sugar-free until afterwards!) If they pass the test of the gluten and sugar eaters of the world with flying colors, I say that’s definitely a win. Just look at them. How could you resist? Do these recipes have you interested? I hope so, because I have FOUR opportunities for you to win a copy of Simply Sugar and Gluten-Free! Want to know how you can enter to win? Scroll down to the bottom of this post and find out! The giveaway will end at midnight CDT on Saturday, April 23, 2011. Be sure to follow the instructions carefully so you can be entered as many times as possible! Preheat the oven to 375 degrees. 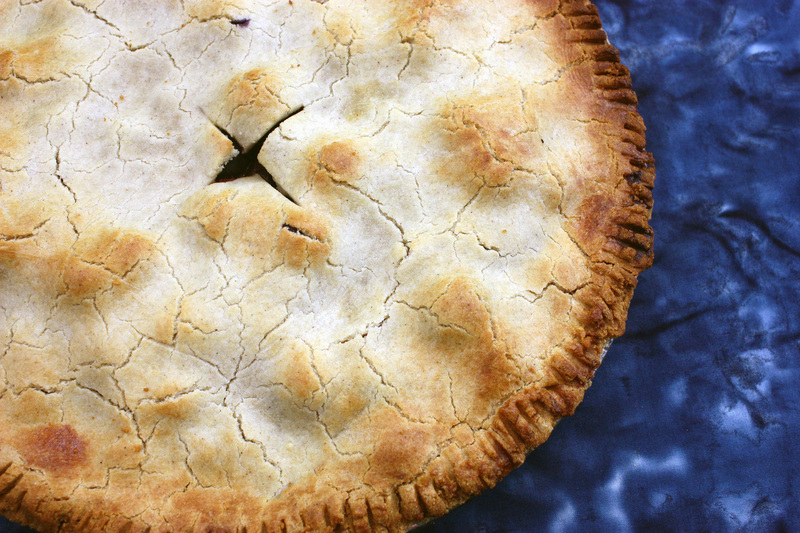 Lightly mist an 8 X 8-inch baking pan with cooking spray. In a medium heatproof bowl, cover the dates and figs with hot water. Set aside. Or, cover the dates and dried figs with water and microwave for 1 minute. In a food processor fitted with the steel blade, chop the walnuts until they are in small pieces but not mealy. Add the sorghum flour, cinnamon, baking soda, xanthan gum, and kosher salt. Process for 30 seconds or until the mixture is combined and the walnuts are a little finer. Sprinkle the butter evenly across the walnut mixture and drizzle in the honey or agave. Pulse until a dough forms. Turn the dough out into a large bowl. Using a slotted spoon, transfer the dates and figs to the food processor, reserving the soaking liquid; there’s no need to wash the processor bowl. Add 1/4 cup of the soaking liquid, the orange zest, and orange juice. Let process for several minutes, until smooth. While the food processor is running, use wet hands to firmly press two-thirds of the dough into the bottom of the prepared pan. 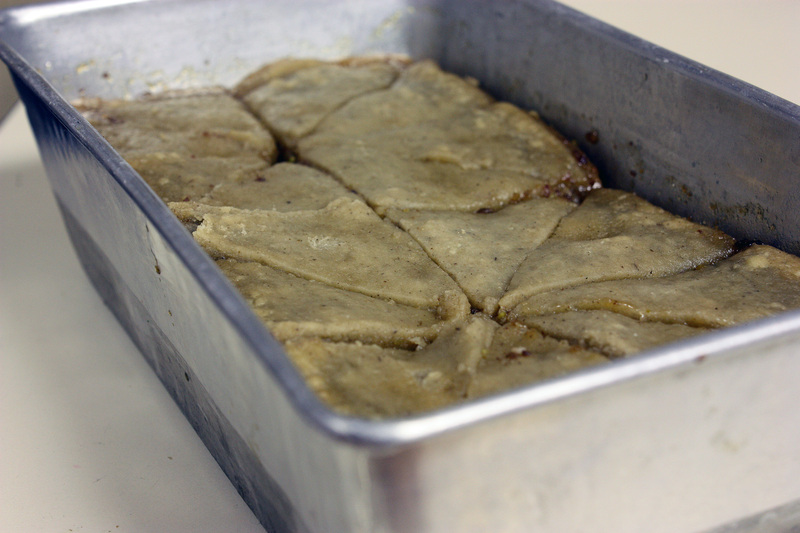 Once the date and fig mixture is smooth, spread it evenly across the dough. Break the remaining dough into marble-size pieces, sprinkle them across the fig and date paste, and lightly press in. Bake for 15 to 18 minutes, rotating the pan 180 degrees halfway through, until the top becomes lightly golden brown. Let cool completely on a wire rack. Cover and store in the refrigerator. These also freeze well. Makes 16 2X2 inch bars. In order to be entered into the giveaway, simply leave a comment at the end of this post. Your name will be entered once into a drawing for a chance to win one of four cookbooks. If you want more chances to win, then listen up! For a second chance to win, follow Ulysses Press on Twitter and leave a separate comment here telling me you did so. For a third chance to win, friend Ulysses Press on Facebook and leave a separate comment here telling me you did so. For a fourth chance to win, like Ulysses Press’s new Health and Fitness fan page and leave a separate comment here telling me you did so. For a fifth chance to win, like Simply Sugar and Gluten-Free on Facebook and leave a separate comment here telling me you did so. For additional chances to win, Tweet about this giveaway on Twitter, post about it on Facebook or your blog, and leave me comments telling me you did those things. And remember – the giveaway ends at midnight on Saturday, April 23, 2011. Just a quick note to give you a little sunshine in your late February day. 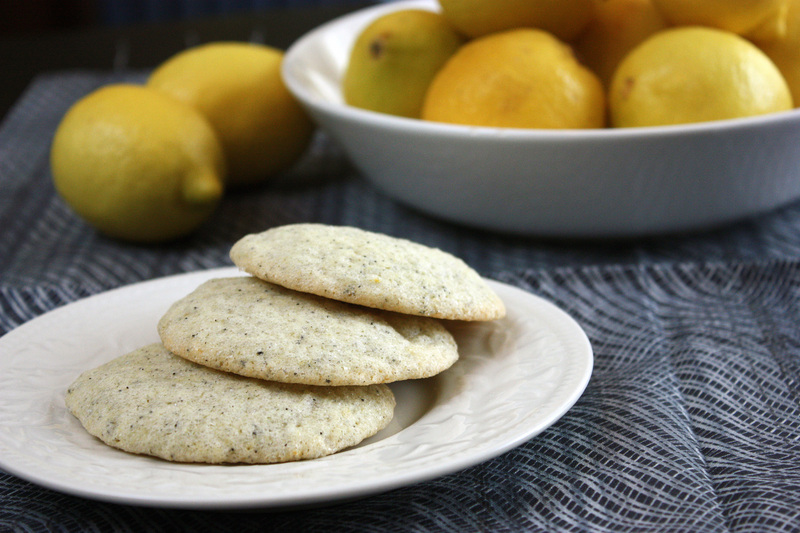 These little cookies have a lovely lemon flavor that will brighten any dreary, cloudy, or otherwise less-than-sunny day. They’re not overly sweet, they’re not rich, and they’re perfect with a cup of hot tea (yes, Earl Grey would be a great option here). They’re also great to bring to work and push off on your coworkers, which is what I did. After all, a cookie in my kitchen is a cookie begging for me to eat it – and I’ve already had more than my fair share! Preheat oven to 350 degrees. Line baking sheets with parchment paper or a Silpat. In a medium bowl, whisk together flours, potato starch, guar gum, baking powder and soda, salt, and tea leaves. In the bowl of a stand mixer, add buttery sticks and sugar. Beat on medium until fluffy and pale (about 2-3 minutes), and then add egg. Beat on medium until egg incorporates, and add vanilla, lemon zest, and lemon juice. Beat until incorporated. 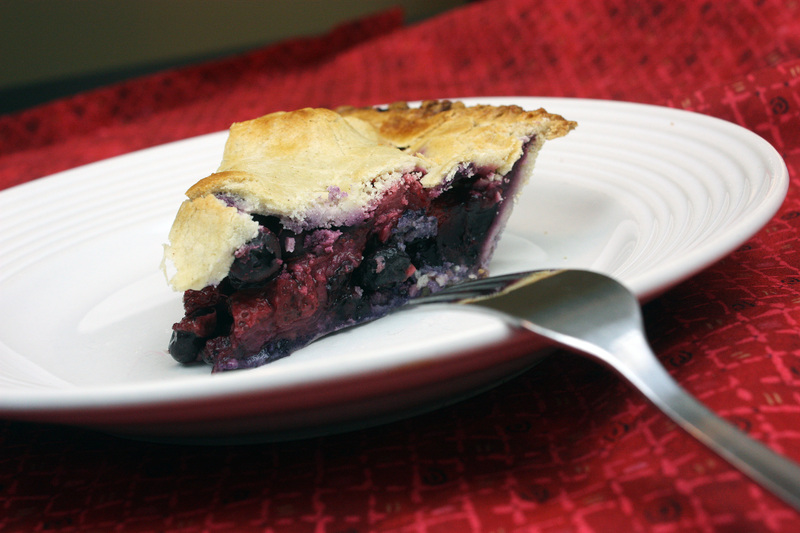 Turn speed to low and add in flour mixture, and allow to beat until incorporated, scraping down the sides as needed. Place the remaining sugar in a small bowl, and using a tablespoon (and another spoon if needed), scoop tablespoon-sized balls of dough, and roll them around in the sugar. Place on the prepared baking sheets, 2-3 inches apart. Bake for 10 minutes or until edges are just barely starting to brown. Allow to cool on a wire rack. Makes about 2 dozen. This month for Adopt a Gluten-Free Blogger, I adopted a good blogger friend of mine, Carrie from Ginger Lemon Girl. I identify with Carrie quite a bit – we’re both gluten and dairy-free, love baking, and we both juggle full-time jobs, family life, and a blog. And yet, for all of our similarities, I love that we venture into different areas in the kitchen! This makes this whole “adopting” thing that much more fun. 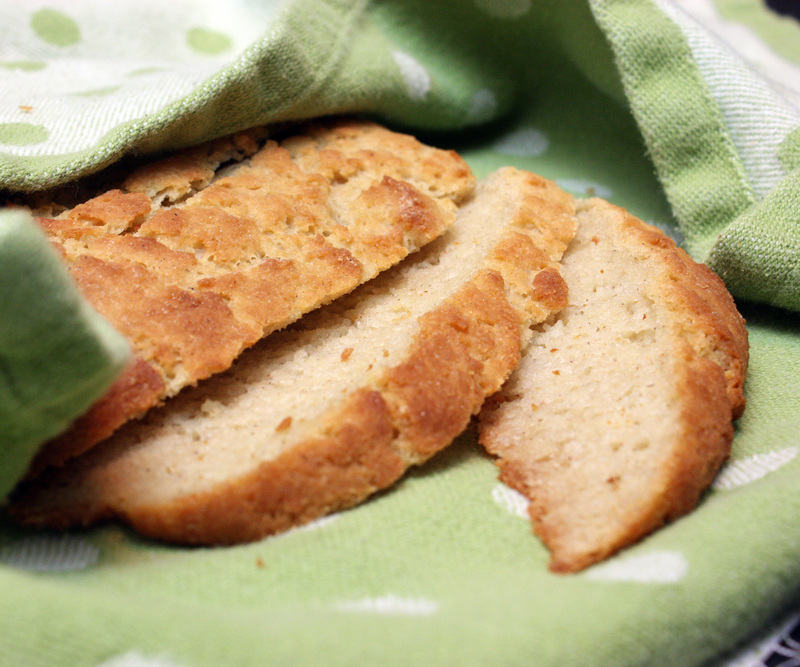 While I have not spent much time worrying about gluten-free pizza crusts or bread in my kitchen (while I miss it a great deal, pizza has become something I only eat once in a great while – same with bread), Carrie has perfected some amazing recipes. 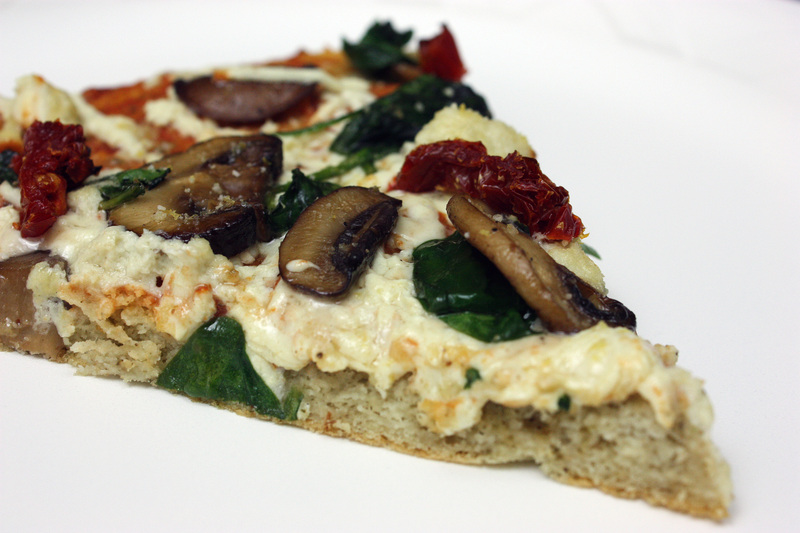 I tried two – her vegan crusty bread, and her almond flour pizza crust. Both were quite lovely. I was concerned that I’d ruined the bread recipe – I am not all that successful in the bread-making department, gluten-free or otherwise. Her dough was wetter than I’m accustomed to, and given my previous bread attempts (which have often turned out gummy in the middle), I was sure I’d messed it up. And while my boules did not raise very high, the texture was amazing. Lots of nice little holes in the bread that just begged for a schmear of vegan buttery spread or jam, and an oh-so-delicious crusty exterior. To date, it was the best bread to come out of my oven. The pizza was also delicious. The crust is not chewy like a gluten-y crust, but it was very light and flavorful from the addition of herbs. I topped mine with a bit of pizza sauce (homemade – I didn’t really follow a recipe, just added some spices to tomato sauce), a touch of Daiya, and sauteed mushrooms, spinach, and a few sundried tomatoes. Divine. It was also good leftover for lunch the following day, in case you made enough to have leftovers. Carrie has many more recipes I’m dying to try – vegan chocolate cake, for example. 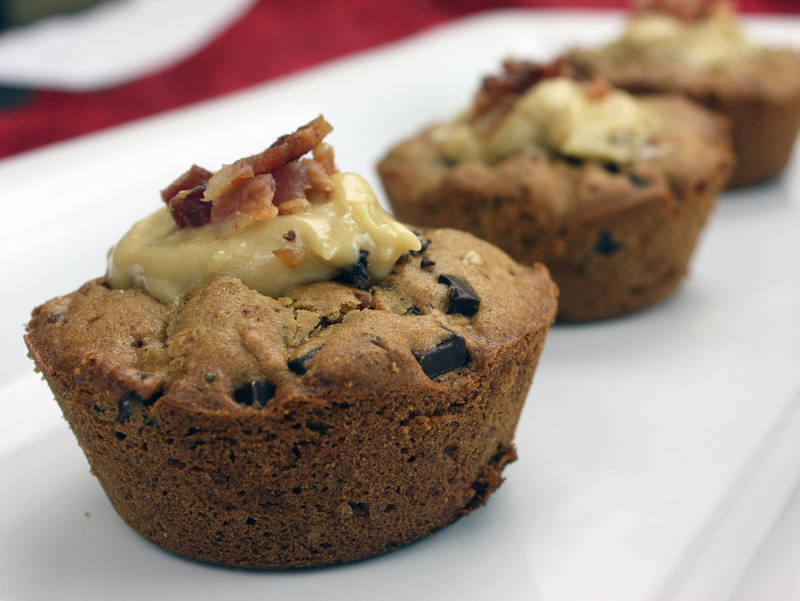 (hmm, maybe I could make that right now…) Or good ol’ chocolate chip cookies, egg-free. Or one of my favorites – Almond Joy impossible pie. If you’re not yet familiar with Ginger Lemon Girl, I strongly encourage you to check out Carrie’s blog!